The term ‘arthritis’ refers to joint pain or joint disease. Around 10 million people in the UK are affected by arthritis. Whilst this condition is often associated with older people, it affects individuals of any age; 15,000 children and young people in the UK are living with arthritis. Common arthritis symptoms include joint swelling, pain, stiffness and decreased range of motion. The two most common types of arthritis are osteoarthritis and rheumatoid arthritis. Osteoarthritis is the most common form of arthritis in the UK affecting eight million people. It occurs when the cartilage that lines the joints wears away. The result is bone rubbing on bone when the joints move, which causes pain, swelling and stiffness. Rheumatoid arthritis involves joint inflammation and pain. It affects three times more women than men, usually starting when people are aged 40 – 50 years. 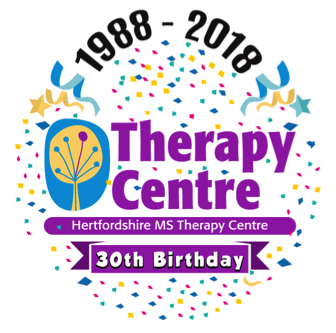 At Herts MS Therapy Centre in Letchworth, we have experience of helping people who live with arthritis – including rheumatoid arthritis and osteoarthritis. Exercise Therapy – for increased fitness, greater mobility and reduced fatigue We have a very flexible timetable and our trained team will be happy to talk with you about the therapies available. You are welcome to try any of these services by booking a free test session. To find out more or book your appointment, please call Claire on 01462 684 214 or email enquiries123@hmstc.net.